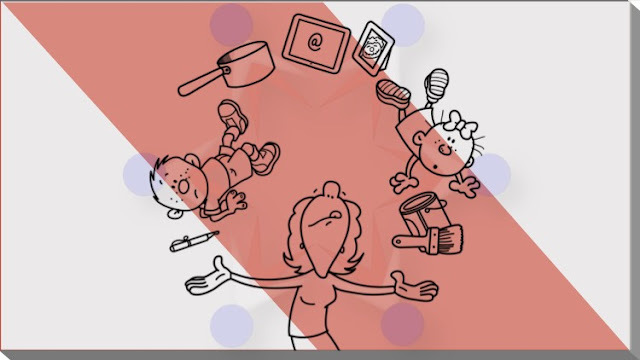 Free udemy course........... "Help Me, I’m a Parent! Urgent I need help NOW!" A lots of us feel this way while parenting! Help Me, I’m a Parent! Urgent I need help NOW! Is your child out of control, misbehaving, being mean to others, refuses to listen, argues with you all the time, or just seems to be lost, lazy or unmotivated? Is your child’s behavior causing you to be stressed out? Do you feel like there just isn’t enough time to do anything? Are you fighting with your spouse or co-parent over parenting? Do you sometimes feel like you just can’t do it (parenting) anymore? Well, you are not alone, In fact all parents will answer yes to some if not all of these questions at some point during parenthood. Parenthood is often one of the most rewarding and challenging stages we can go through in life. But there are times that we don’t have answers, we don’t have control and we experience parenthood like it’s a prison sentence without parole. It doesn’t have to be this way. Parenting is the most under-appreciated job of all time. It's a stages of life that we receive little formal preparation nor do we obtain optimal training. It’s figure it out on the fly with the most important person in our life, our child. Help Me, I’m a Parent! Urgent I need help NOW! This course will help you get through the most common behavioral issues that parents contend with on a daily basis. It will give you proven techniques to help you get the effect you are looking for from your child. Best of all you can put these methods to work right away to receive quick positive results. I need time, I have no time, how can I get more time? My Spouse/Co-Parent and I fight over the children, I need help! I DON’T WANT To Be a PARENT anymore! The primary objective of this course is to help you identify your family problem. While the issue you are dealing with may seem obvious, the truth is often the root issue takes more digging to find. Next will we help you discover what it is you are desiring as a parent. This will help you to open your eyes to parenting in ways that will have an immediate positive impact on your confidence and your direction in parenthood. Then we will offer up 10 methods to help resolve your problem and move the state you are currently at towards one that will position you to be in a place for learning about more sustainable problem solving. Better still you will now be freed up to learn how to create an environment for optimal family life. Finally we will finish off the course preparing you for the next phase where you can move from your current “Urgent I need help” state and into a place of Readiness. Help Me, I’m a Parent! Urgent I need help NOW! This course is part of a series of courses designed to give you what you can handle based on time and needs. This is the first step as this generally is when parents wake up to the reality that the world hasn’t prepared them for the most important and difficult job on the planet. Many times, it is only in crisis that we realize we need help. Star Family Coaching training courses are entirely transforming families all around the world with a new, revolutionary approach to developing strong parent-child relationships. Enroll today and join the thousands already transforming themselves and the world around them for the better. This value-packed parenting course contains critical ideas from numerous child development specialists including Jean Piaget, Erik Erikson, Robert Kegan, Morris Massey, Jane Loevinger, Daniel J. Siegel M.D., Tina Payne Bryson, Ph.D., Gary Chapman Ph.D., Ross Campbell Ph.D., and Parenting Coach Pioneers such as Haim Ginott, Thomas Gordon and Diana Baumrind as well as the over 25 years of parenting experience of Coach Hall of Star Family Coaching. Enroll today, knowing that If you aren't delighted with this video based training course, claim a full refund within 30 days of purchase!